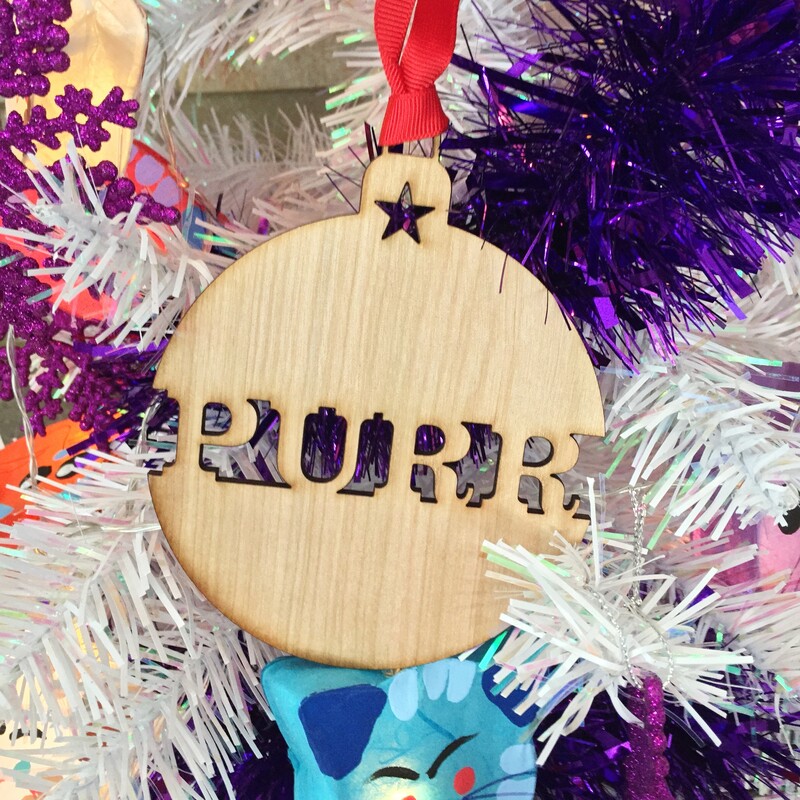 These wooden ornaments are laser engraved with either the words CATS, PURR or MEOW. 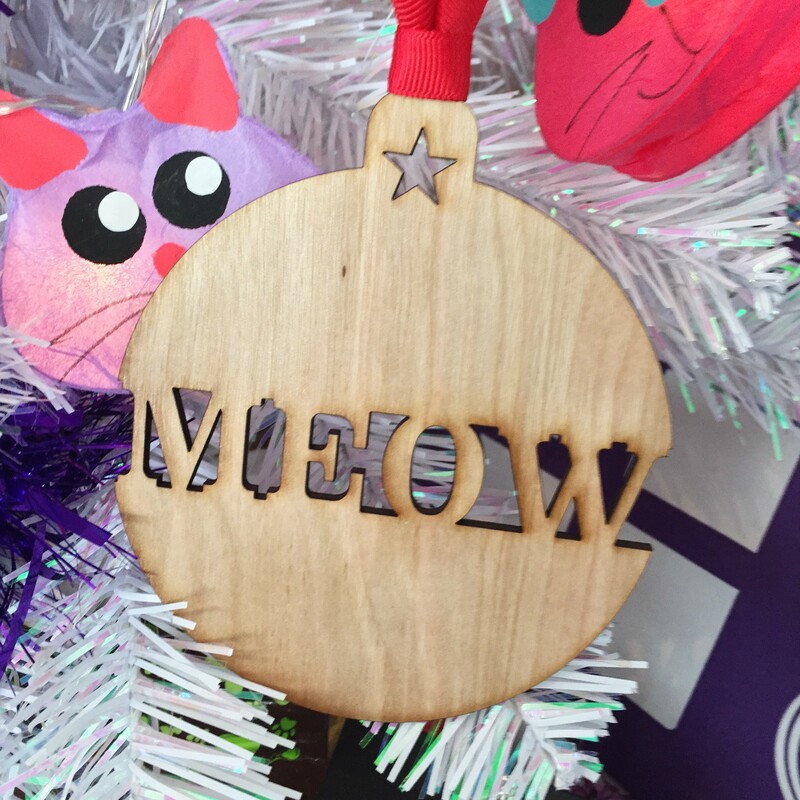 They come with a red ribbon ready for hanging and decorating. 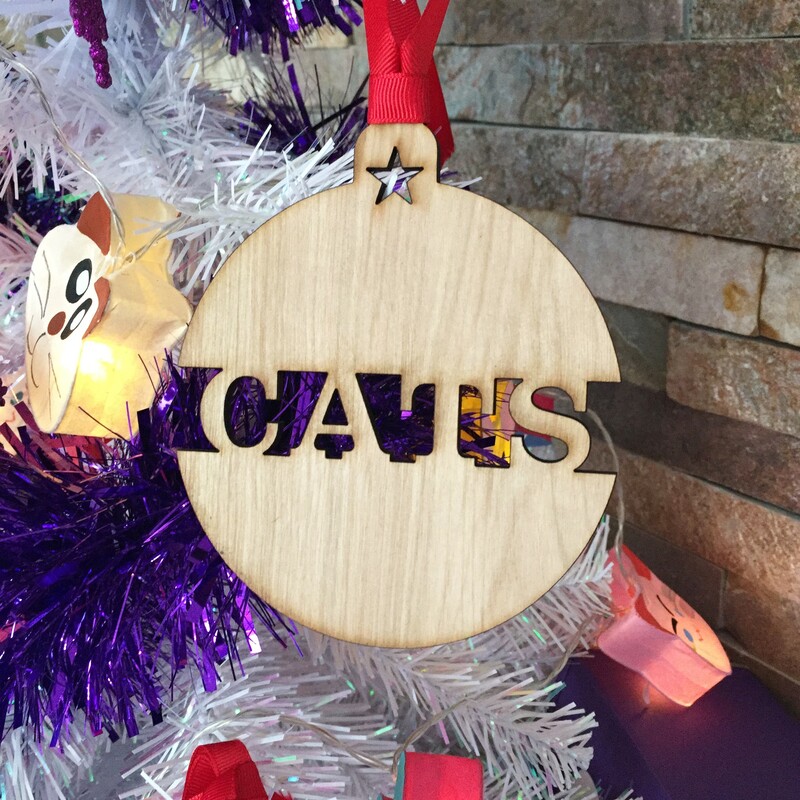 Each ornament costs £3.99 each or £9.50 for a set of three (1 of each word).